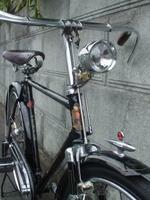 I have written about bicycle bells in the past, with a focus on revolving bells. However, there is another kind of bell rarely seen today and that is the spoke bell. Spoke bells are an ingenious design, whereby pulling a cable operated lever moves a spring held clapper into the spokes, and, as the wheel turns, each spoke then bends and releases the spring held clapper rending a machine-gun of rings: ding-ding-ding-ding-ding-ding. 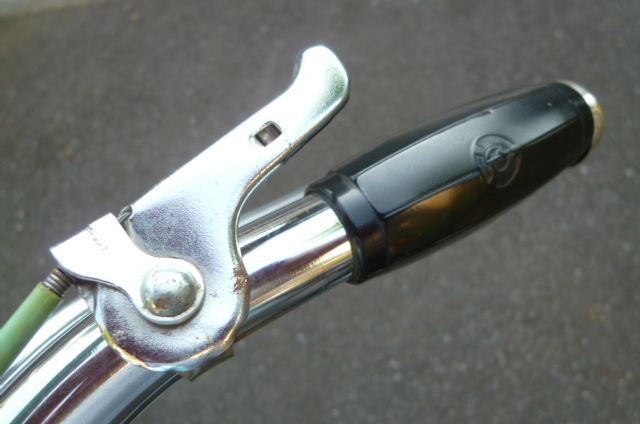 Here is the lever attached to the handlebars. 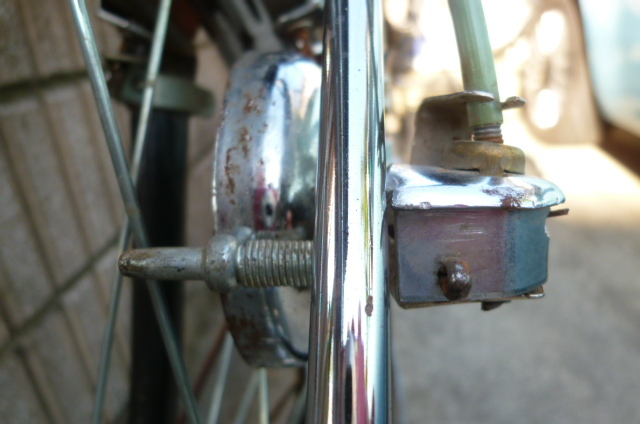 At this position the spring held clapper is away from the spokes. Squeezing the lever pulls the cable which moves the spring held clapper into the spokes. 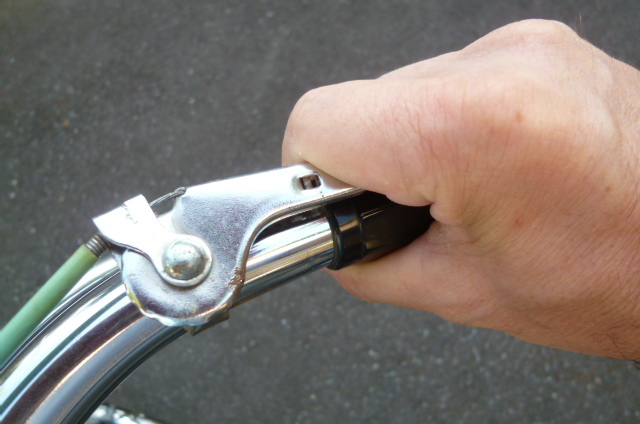 In the above example, the spring held clapper is normally in the raised, away from the spokes position, until the lever is depressed at which time the spring held clapper is lowered into the spokes rendering a barrage of dings: ding-ding-ding-ding-ding-ding-ding-ding. The vast majority of designs are like the one below whereby the normal postion of the spring held clapper is in a lowered, away from the spokes position, until the lever is depressed at which time the spring held clapper moves up into the spokes. 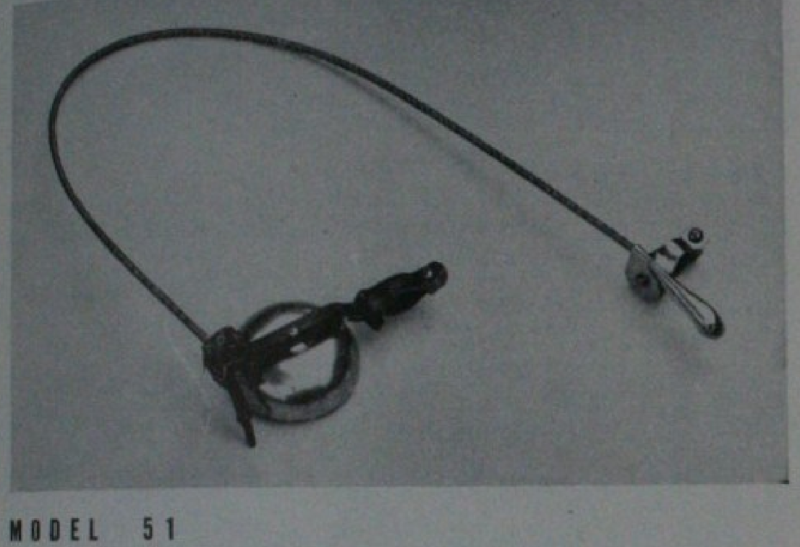 The following two models are from a 1950's catalog. 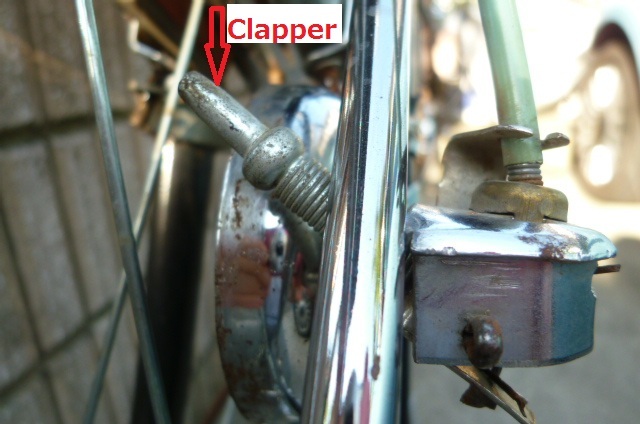 Upon close examination, one can see that the top photo is of the type where the spring held clapper is lowered into the spokes. 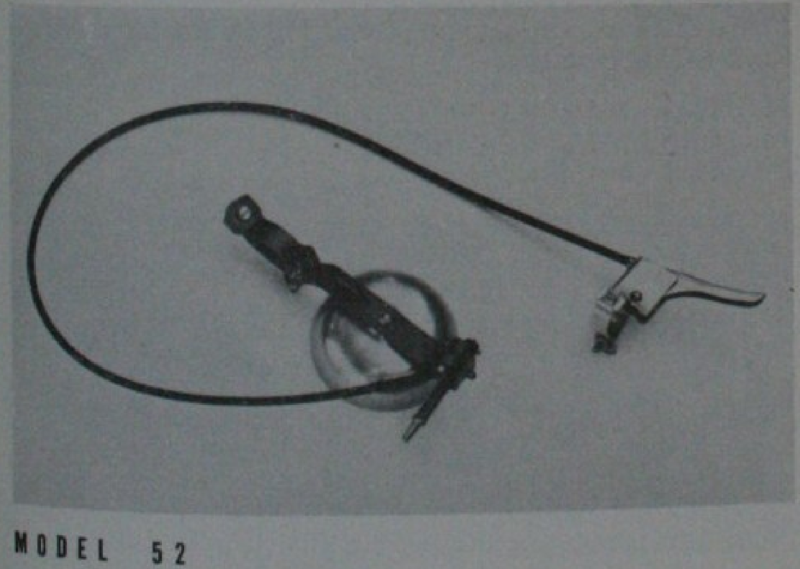 And, conversely, the bottom photo is of the type where the spring held clapper is raised into the spokes. A few years ago I purchased a box of very old bicycle parts. At the time, I had know idea what some of the parts were, until I discovered later that the parts were for a rod activated spoke bell. 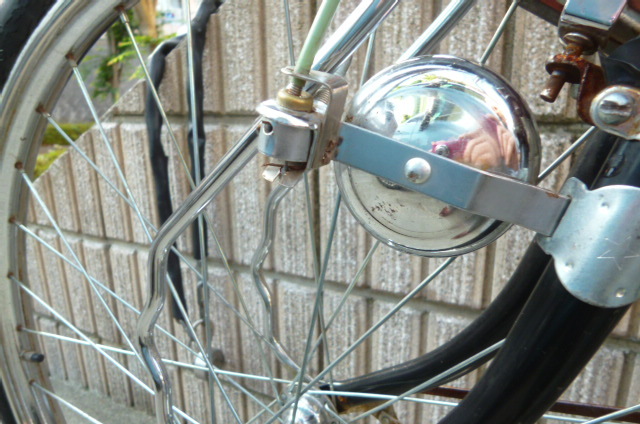 That's right, it is interesting to note that,just as the rod brake is the forefather of the cable brake, the rod spoke bell is the forefather of the spoke bell. 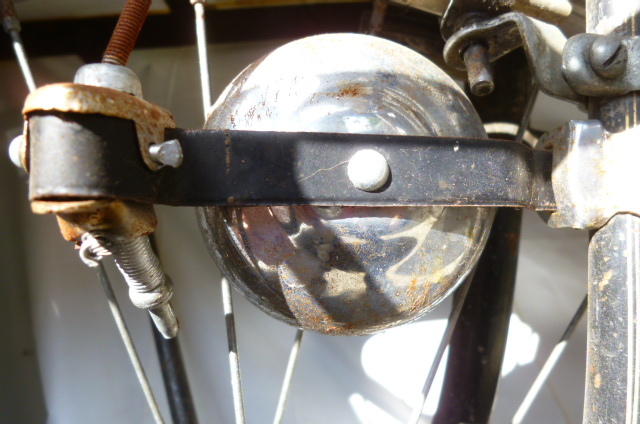 In the next installment we will take a look at a rod activated spoke bell.